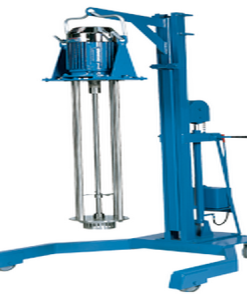 Basket mills are extremely efficient grinding systems comprising of a grinding basket that is lowered into the millbase for dispersion. 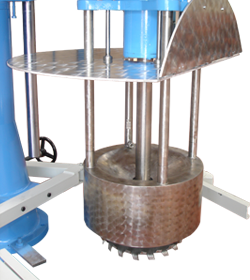 During operation the grinding basket stands still while the milling shaft to which the milling tool, dissolver disc and pump wheel are fastened, rotates. The rotating milling tool agitates the beads inside the basket which disperses the millbase. The dissolver disc at the tip of the shaft and the pumping wheel generate effective circulation of the millbase, helping to provide excellent dispersion results in a short period of time. The KEW basket milling system includes a special adapter flange which enables it to be fitted to a DISPERMAT® without the need for any tools. 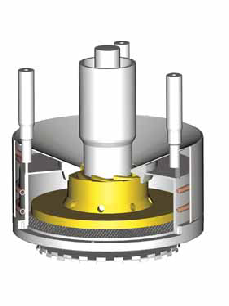 If the standard dissolver shaft and the KEW basket milling system are frequently interchanged, an additional dissolver shaft is recommended. The double walled grinding basket filled with beads is lowered into the millbase. 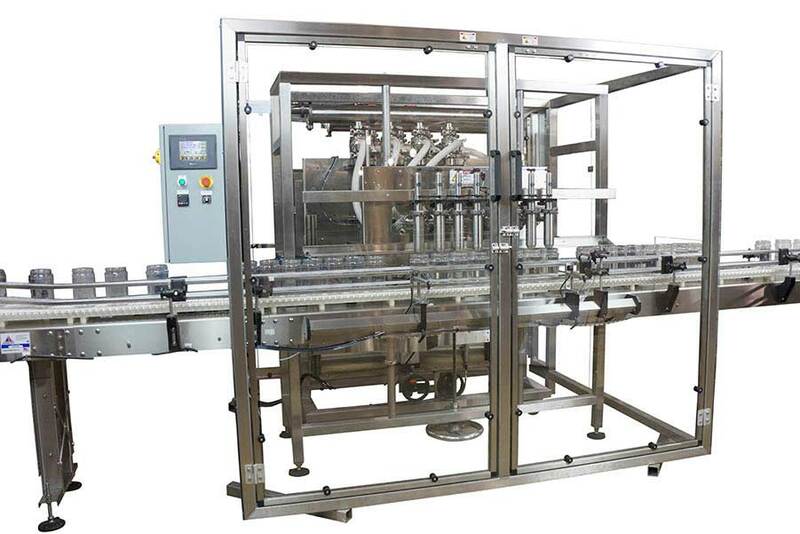 Intense circulation of the product is generated with the dissolver disc and integrated pump wheel. For assessment of the milling process – during dispersion – a product sample can be taken at any time. When the milling process is complete, the grinding basket is raised. 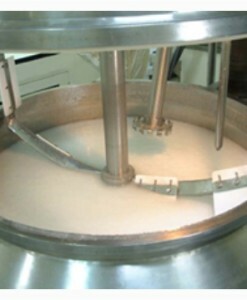 Product residue in the grinding basket is centrifuged out by briefly running the milling and the dissolver discs. Cleaning the milling system is carried out with a suitable cleaning fluid in a separate container. 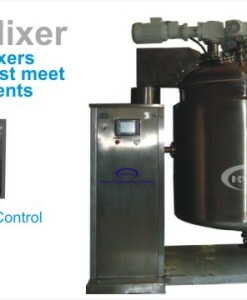 (9) which closes the dispersion container completely and allows to run the process under vacuum.